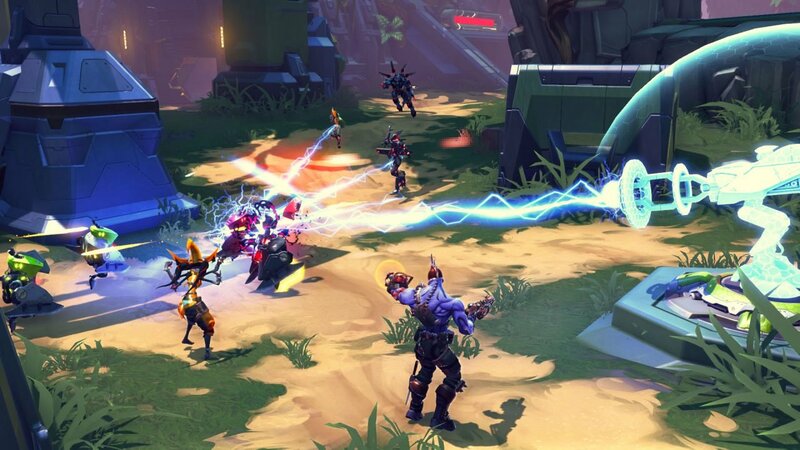 To say Gearbox’s new MOBA FPS hybrid Battleborn came into the world with a ton of hype is an understatement. It promised a blend of two of the most popular genres on the planet in a unique world, with quirky characters and an interesting art style. Now, a few days post-launch, I think it’s safe to say almost none of those guarantees are true. Ultimately, this is a game that tries to do too much—and none of it is particularly interesting. The characters are annoying, the story isn’t captivating, and the writing is bordering on groan worthy. While it’s not a bad game by any stretch of the imagination, its level of mediocrity is almost astounding. 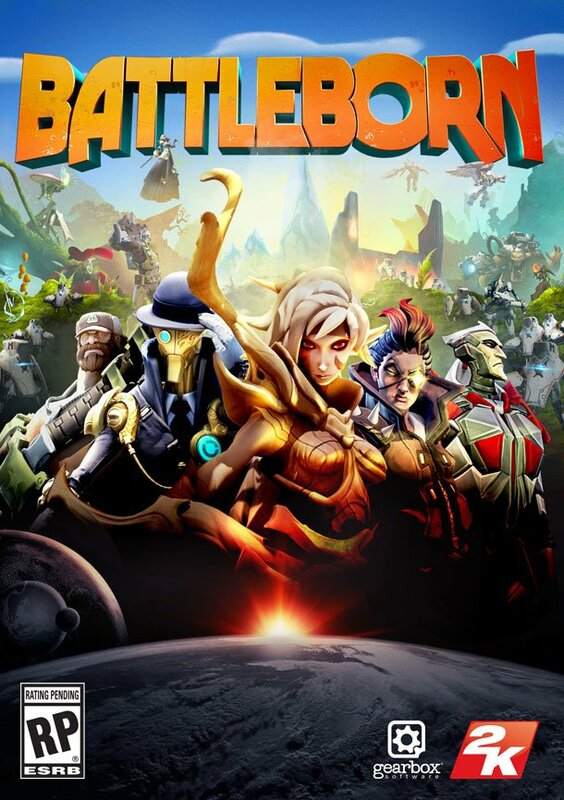 Battleborn just kind of exists. That’s really the best thing I can say about this title. Admittedly, I did find myself dropping more than a few hours into the online play, but that was the only way I could escape the mindless banter and repetitive gameplay the campaign presents. Players choose one of many heroes, each with two special attacks to start, with a third available after a certain level. Each special has a time space between uses, so a bit of strategy is needed when entering a battle. Throughout any given level players kill enemies and collect shards, and once enough shards are collected a skill helix can open and players are able to pick one of two upgrades to their arsenal. Once the mission is complete, it returns to the basic mode, so there is plenty of risk-free experimentation available for players. There are a few different online modes: an AI vs. humans attack and defend, a death match, and a team based death match where humans fight alongside AI. I actually had quite a bit of fun with the latter. It managed to stay interesting enough that I lost hours in a trance as I fought alongside my teammates. Some of the matches can get pretty large, so there is a lot of action at any given time, making for some really hectic points. However, there really isn’t a lot of variety in match types. You only have those three modes and an online version of the campaign. Since I played on the PS4, there were no mods to spice things up. Battleborn also suffers from a rather large character balancing issue. Some heroes are really overpowered. My personal favourite was a healer mushroom that deals in poison and health. He shoots knives from his hands and moves quickly, so allegedly you can get out of tight spots when you encounter someone stronger—except I was never able to really escape. There was always a faster character that was stronger as well and this wasn’t an isolated incident. While playing as a heavy, I was almost untouchable. I ran the map with ease, and took out anyone who dared oppose me. It was two opposite ends of the spectrum, but there was no way to really fix the issue. There are just some characters that are better than the rest, and it’s not like they have specific weaknesses. It’s kind of frustrating given how fun the multiplayer can be without those exploitations. While the online is somewhat enjoyable, it mostly serves as a distraction from the campaign. This is where the game falls apart. The story is all right I guess, and follows a cliché “rogue band of misfits” fighting against some kind of evil regime that blows up planets or something—I stopped paying attention rather early actually. The dialogue was just too horrendous and I could not stand the cast. It felt like everyone—from the main character, to the person talking in your ear, even to the scrub henchmen—was just trying to be funny. The key word here is try. Humour is something that’s really hard to nail in any medium, and they miss the mark almost every single time. It actually became rather uncomfortable the longer I played because it felt like the writers really did work hard to put together something to make people laugh. Unfortunately, the dialogue felt like Saturday morning cartoon humour; which would be fine if it wasn’t rated T. In the end, it came across as annoying and try-hard, and that’s sad because Gearbox has a reputation of making really humorous titles. On top of that, the single-player is really boring. I had a much better time playing online with more people because, well, the combat isn’t anything special. When you’re alone, you have a lot of time to think about how there really isn’t anything to the game. It’s really shallow, and in that sense it’s disappointing. You just kind of walk to areas and fight enemies until you fight a boss at the end. At least there’s a bit of a spectacle fighting alongside a band of gamers and you kind of feel like you’re in it together. When you play the campaign online though, it’s like a glorified hoard mode where you defend posts for an hour and a half. There’s no real winning when it comes to the campaign. 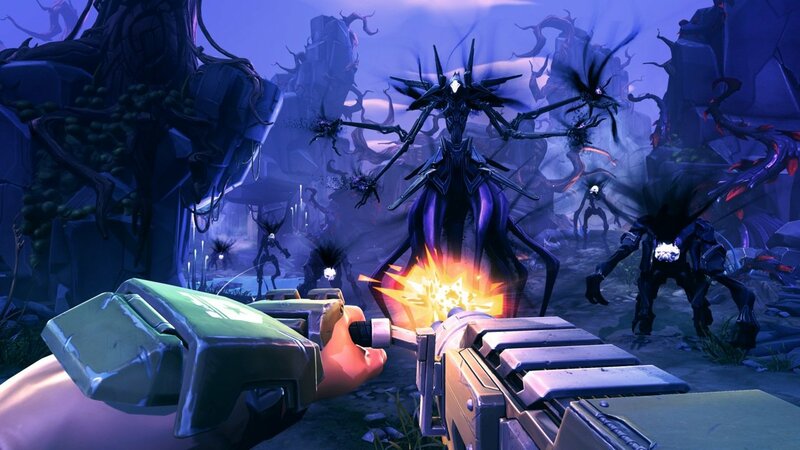 Aside from the moderately decent online component; Battleborn doesn’t offer much, which is a shame because Gearbox seemed to have the next Borderlands in their pocket. It could have been a memorable game that changed the way we play MOBAs and shooters forever. Instead, we have a title that does not leave an impression on me outside of the terrible dialogue. It’s a fine game brought low by a fun-but-unbalanced multiplayer and a poor campaign. I don’t want to attack it too harshly, because I did have some fun, but not enough to justify ever going back. 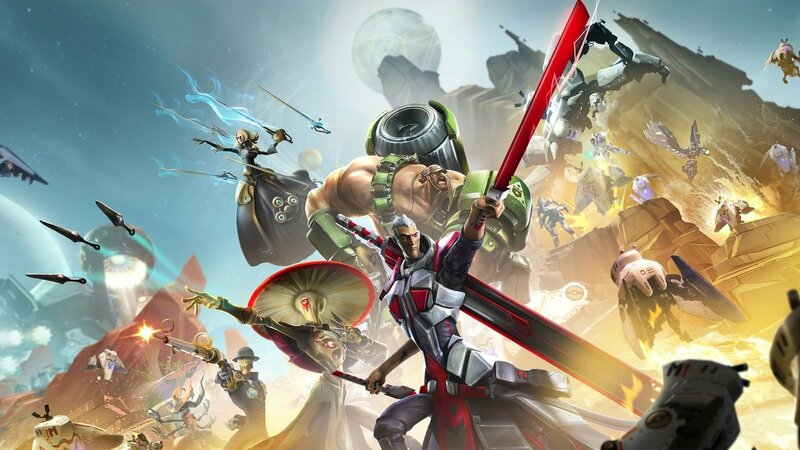 Battleborn isn’t bad or good, it just is. If you really don’t have anything to play then maybe give it a try. 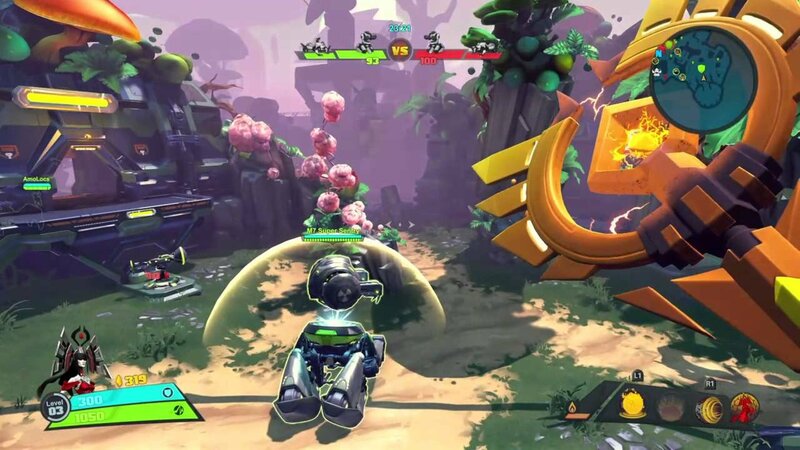 Battleborn left me feeling like it was not bad or good, it just is, and that's not a good thing.